I am a big fan of fashion illustrations. There is something classic about the way pen and paper can make clothing look like a dream. And the woman in the drawing looks so chic and glamorous! 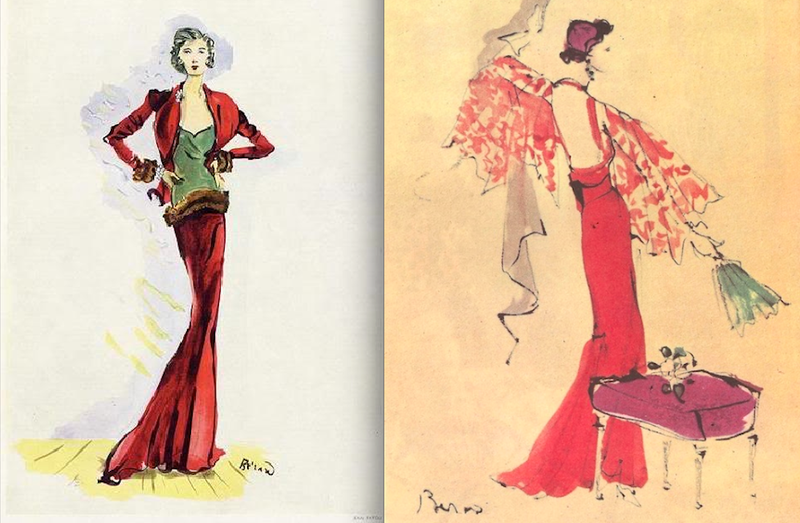 Colin McDowell recently penned his thoughts about fashion illustrations , the transition to photography in the 1950-60’s and why we should consider bringing the fashion illustrations back. After reading his carefully pointed view, I couldn’t help but think that either way, the models are still skinny. It’s a pretty obvious debate that has been going on for years with the fashion industry and advocates for women; The models on the covers and runways are too skinny! So by Colin’s article, does this problem of unnatural/unhealthy body image stem back to the early ages of magazines when fashion illustrations were first used? We could argue that illustrations were the first form of photoshop available back in the day, with models dressed in the latest fashion being drawn for a magazine or collection. Most of the time, the women were drawn straight from the designer’s mind, his vision of what ‘his’ woman would look like dressed in his clothes. Previous Post American Apparel Shocks Again… Why?